Pilafs are a great example of the transformative power of sautéing. Without it, this would be just another rice dish. Instead, onions are sautéed in canola oil for maximum flavor, then curry powder is added to create one of the great Indian side dishes. Serve it with chicken or lamb curry, or grilled chicken or fish. 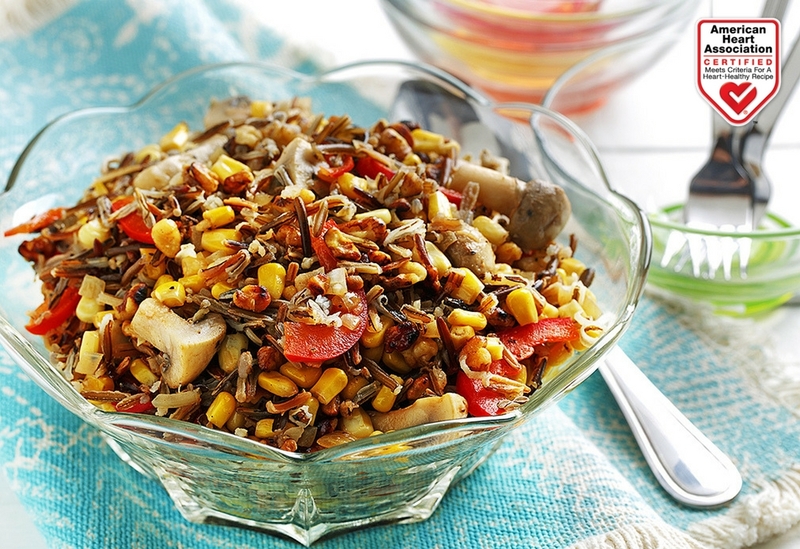 With the addition of lentils and cashews, also sautéed in canola oil, this is a high-protein, low-fat, high-fiber choice that could also be eaten as a vegetarian entrée. 1. Sort through lentils and discard any small stones or debris. Put lentils in a bowl and cover with boiling water. Let stand for 15 minutes. 2. Meanwhile, in a 10-inch sauté pan, warm 2 Tbsp (30 mL) canola oil over medium-high heat. Add onions and sprinkle with salt. Saute until onions are coated with oil and start to soften, about 1 minute. Reduce heat to medium and sauté until pale golden, about 10 minutes. Stir in curry powder and sauté for 30 seconds. 3. Add rice to pan and sauté until rice is coated with oil and onions, about 1 minute. Drain lentils. Add to pan, then stir in broth or water. Bring mixture to a boil. Reduce heat to low, cover pan and simmer until rice and lentils are cooked through, about 20 minutes. 4. While pilaf cooks, in a small frying pan, warm 2 tsp (10 mL) canola oil over medium-high heat. Add cashews and sauté until golden, about 5 minutes. Set cashews aside in pan. 5. 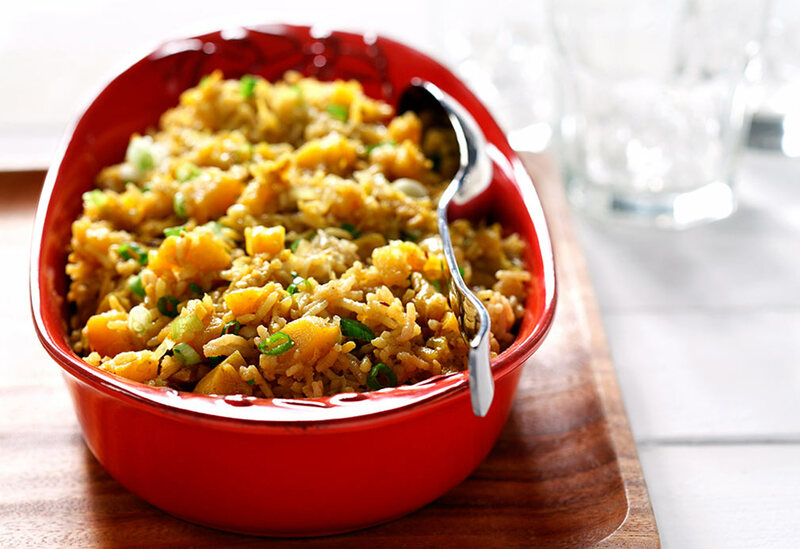 When rice and lentils are cooked, uncover pan and fluff rice with a fork. 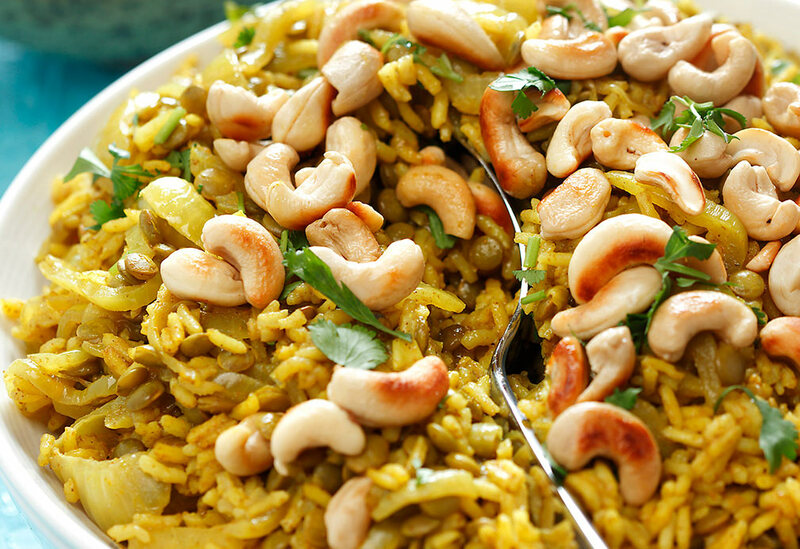 Sprinkle with cashews and cilantro, if desired. Health professionals recommend increasing the intake of omega 3 fatty acids from foods such as salmon, trout, walnuts and canola oil. This comforting side combines the bounty of Fall that pervasively populates vegetable bins, squash, with nutty smelling cumin and pungent curry powder. 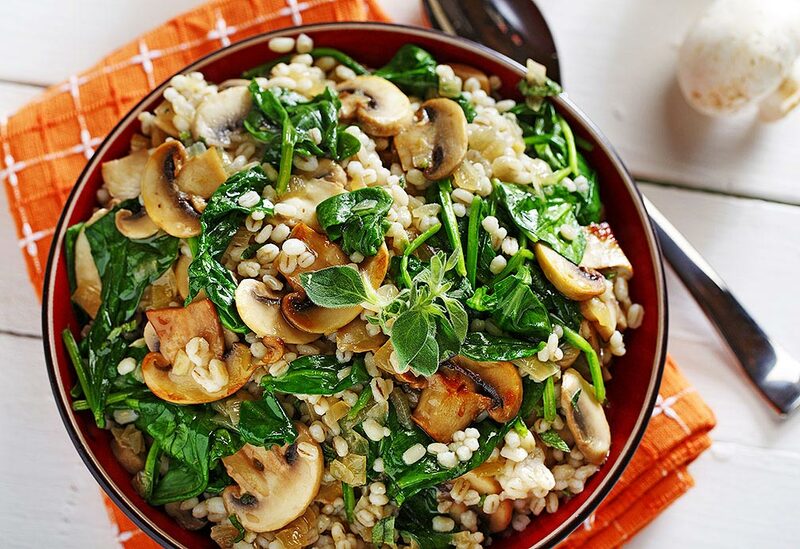 A dynamic duo in any dish, spinach and mushrooms have rustic texture and earthy flavors.